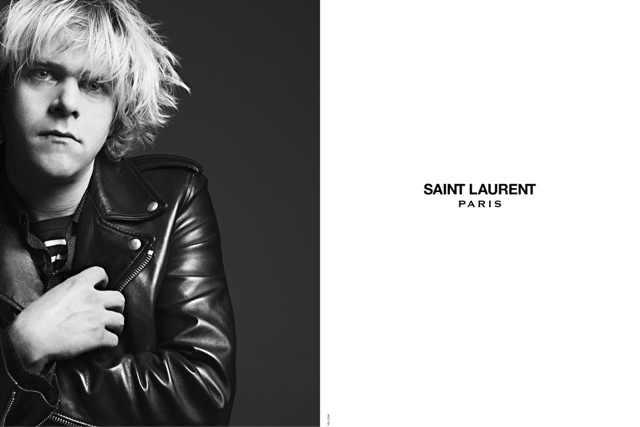 FASHION // Read This Today - Rockstars and Saint Laurent: the new campaign. After reading this article, you will agree with me. Hedi Slimane has to work with Panos Yiapanis. Rock star: Style thyself. 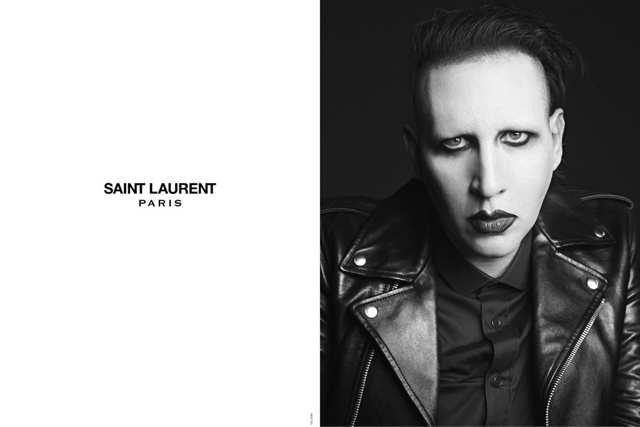 That’s the latest edict from Hedi Slimane, whose next advertising campaigns for Saint Laurent will feature musicians Courtney Love, Marilyn Manson and Ariel Pink in looks they sometimes put together themselves. Love, for example, plucked Slimane’s own polka dot scarf when she posed for him in Saint Laurent’s New York photo studio earlier this year. 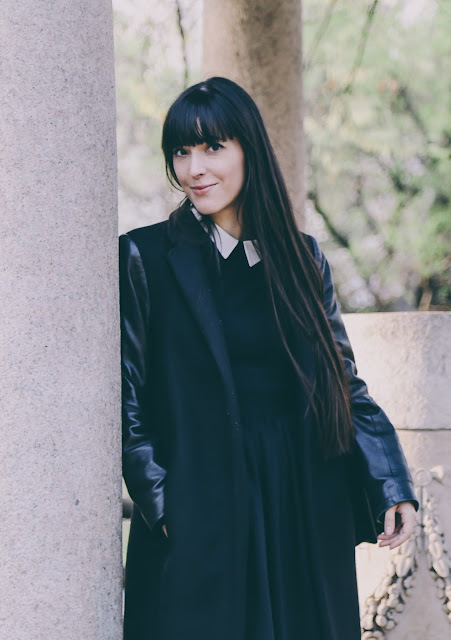 (She also selected a tuxedo jacket, a leather miniskirt, jewelry from Saint Laurent’s Vermeil collection and a bustier dress from what’s known as the permanent collection.) Manson and the California rocker Pink will appear wearing Saint Laurent’s “L01” leather motorcycle jacket, priced at $4,900 on YSL’s e-shop. According to Saint Laurent, the house’s ties to the rock world were cemented in 1971, when the founding couturier dressed Mick Jagger and his wife-to-be Bianca for their nuptials in Saint-Tropez. Slimane revived the tradition during his first stint at YSL in the late Nineties and made it a leitmotif of his fashion career at Dior Homme, dressing rockers including The Libertines, The Kills and Franz Ferdinand over the years. Since arriving at Saint Laurent last year, he’s already featured Christopher Owens and Beck in Saint Laurent campaigns and tapped musicians including Daft Punk, Ty Segall and Thee Oh Sees for original runway soundtracks. The rock star campaigns are slated to break later this month in Les Inrockuptibles in France, followed by a range of music, art, culture and fashion titles with an indie bent, including Monopol in Germany, Loud and Quiet in the U.K., Parkett in Switzerland and Dazed & Confused in Korea.